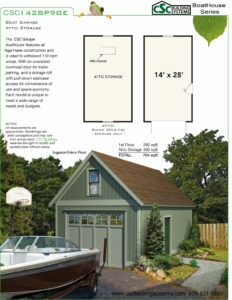 CSC Building Systems introduces the CSC Garage Boat House Series. 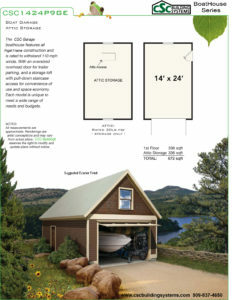 Designed as an economical detached structure strong enough to protect a homeowner’s boat and belongings. 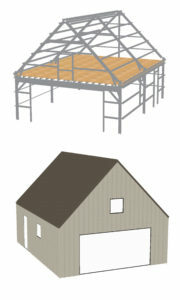 These single door garages are designed specifically for boat storage. With an oversized overhead door opening for trailer parking, and a storage attic for maximized use and space economy. 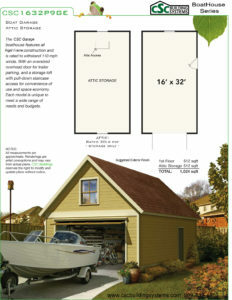 The CSC Garage Boat House is rated to withstand 110 mph winds. The CSC Garage is designed with a pre-engineered wall and roof framing system that cuts the fabrication process down to one fully integrated step. Each model is unique to meet a wide range of needs and budgets.